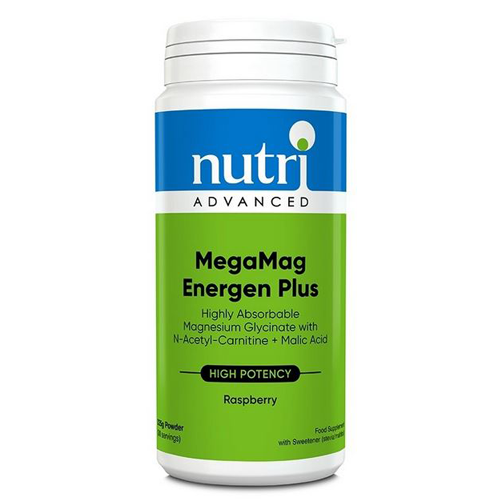 High strength magnesium beverage, with N-acetyl-carnitine, malic acid, together with B vitamins and vitamin C.
Features N-acetyl-carnitine, and malic acid, an intermediate in the citric acid cycle. Features 10mg zinc per serving. 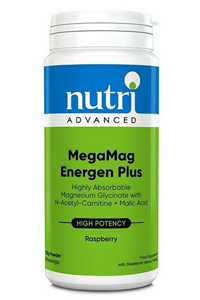 Contains the vitamins riboflavin, niacin, pantothenic acid and vitamin C, which all contribute to a reduction in tiredness & fatigue. Features selenium and iodine, to support the thyroid, as they both contribute to normal thyroid function. Iodine also contributes to the normal production of thyroid hormones. Also available in Orange flavour. Maltodextrin, Maltitol, Guar gum, Steviol glycosides, Raspberry flavour, Red beet powder.